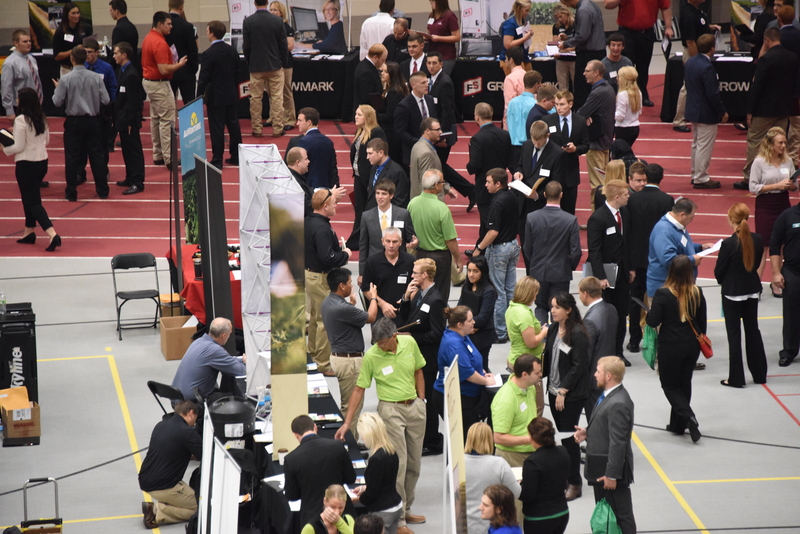 AMES, Iowa — There is plenty of interest in recruiting at Iowa State University’s Agriculture and Life Sciences Career Day despite the downturn in the agriculture sector, said the organizer of the annual job fair. The Agriculture and Life Sciences Career Day will be from 9 a.m. to 3 p.m. Oct. 17 in the Lied Recreation Athletic Facility at 518 Beach Rd. on the Iowa State campus. The job fair is free and open to the public. Many recruiters will arrive the evening before for a record number of departmental recruitment events and more will stay an extra day to conduct on-campus interviews. Gaul said the day after is typically the busiest interview day of the year with more than 860 interviews taking place last year. Students meet with recruiters at the 2016 Agriculture and Life Sciences Career Day.